Developing new therapies to treat diseases is costly, to say the least. In fact, the cost of bringing a single drug to market has climbed to $2.7 billion because only about 10% of drugs successfully make it to the FDA. That means that, nine out of ten times, millions of dollars have been spent on an unsuccessful drug that never reaches patients. Our goal is to increase the success rate of therapies, thereby decreasing the cost of drug development and increasing patient accessibility. So how did we come up with a system that can accomplish all that? The credit goes to a couple of guys who conceived of the idea and an entire team that made that idea a reality. Ashley Gard, a HOS technical expert in her own right, sat down with Joe Charest, Brett Isenberg and Tim Petrie—all senior members of Draper’s Biomedical Solutions division—to find out how the PREDICT96 platform came to be and what it holds for the future. Rendering of the internal pump system within PREDICT96. Human-organ-system (HOS) technology can help drug developers cure more diseases while treating more patients by providing an accurate, high-throughput, scalable and flexible way to test drug therapies. 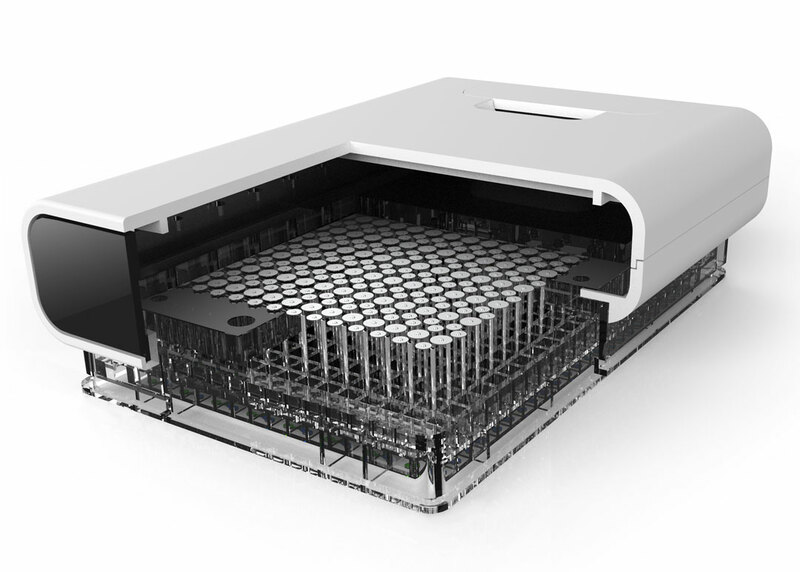 Draper’s PREDICT96 enables human tissue testing before clinical trials or even animal studies making it possible to identify successful therapies earlier. 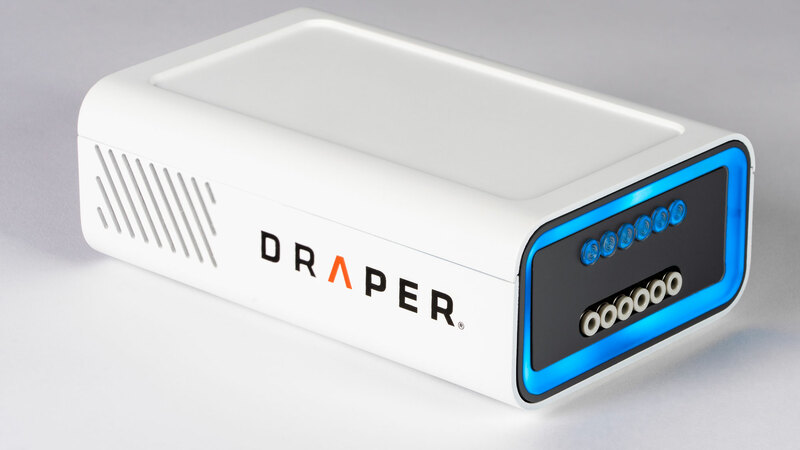 Most similar microfluidic testing platforms have only one or two human organ tissue replicates, but Draper’s system has a 96-module platform. PREDICT96 uses 192 integrated pumps that precisely control upper and lower channel flow conditions for each organ model, creating a more realistic (human-like) testing environment. With this system, drug developers can have more data early in the development pipeline to better predict drug performance in humans and minimize drug failure. PREDICT96 was always designed to make the scientist’s job easier, but after development and deployment of the system, its creators soon realized that the system was always being operated by engineers. Brett quickly decided to build a pump control technology simple enough for anyone, not just an engineer, to use. Thus was born two new components to their human-organ-system platform: the PREDICT96 pump control box and a mobile application to accompany it. 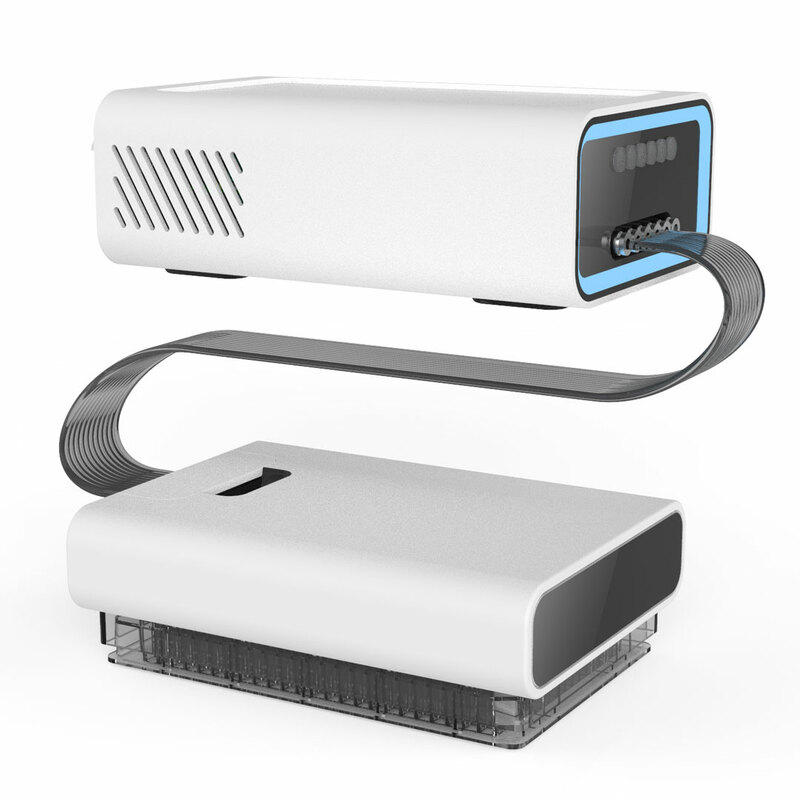 Through a simple app, a scientist can walk away from their test setup with control of 192 microfluidic pumps in the palm of their hand. It’s easy to recognize that any engineering feat is the result of a hard-working team. You’ll hear this over and over again from the engineers at Draper. No one person will readily take credit for a technology that was developed by a whole team. The result of this strongly held belief is that despite the fact Brett developed and built the PREDICT96 pump control box and app himself, he’d prefer that its name doesn’t derive from his own. So for now, it will remain simply, “the pump control box”—a name less representative of the person who made it, and more of the group of people that have worked to make the whole Human Organ System a reality.